What I learned: There is never time to waste and it is never too late. A good, long day. I woke early in Lamphun. In order to get an early start on the day, while my family slept, I went out for a photo shoot. I came to a temple. I lifted my spirits to heaven, praying for something beautiful in my life. A monk invited me into the temple. He opened the doors. I admired the details and shot photos. I went outside. He started shutting huge doors. I saw a photo, but I thought it was lost. It occurred to me instantaneously to ask him to stop so I could take a photo of it, but just as quickly, I sensed it was too late, or by stopping him, the magic of the moment would be lost. Instinctively – realizing there is never time to waste and it is never too late – I lifted my camera and took a photo. Later, when I looked at this photo, I fell in love with it. The monk’s arm, robe and feet appeared ever so slightly at the edge of the closing door. 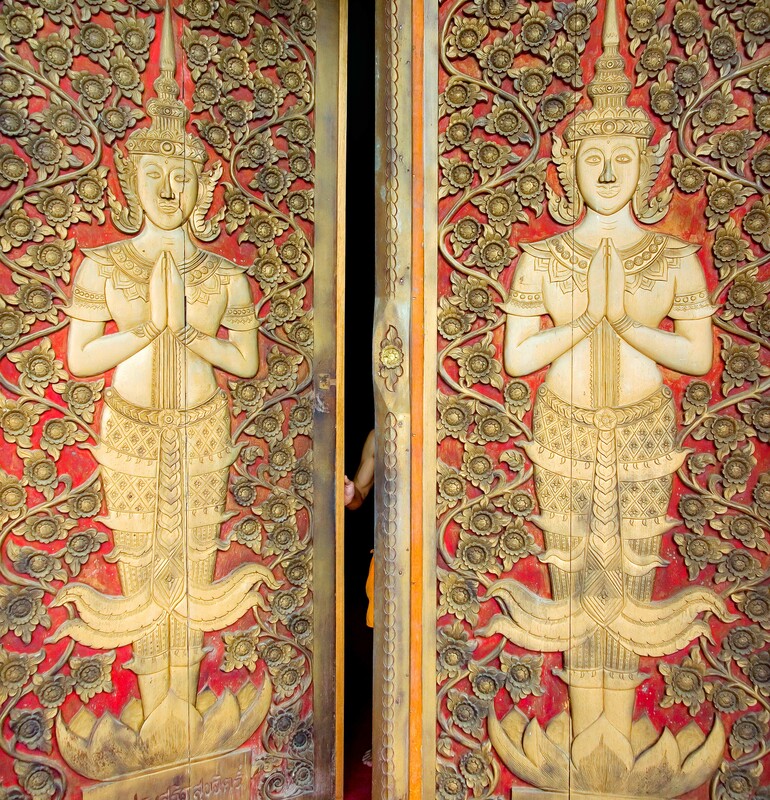 The doors themselves each depicted a huge golden Buddha.